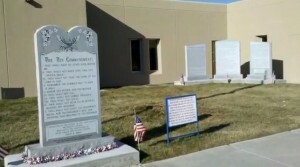 SANTA FE, N.M. — One of the nation’s most conspicuous atheist activist groups has contacted the city attorney for Santa Fe, New Mexico to assert that a Ten Commandments monument displayed in a public park adjacent to a fire station is unconstitutional and should be moved to private property. 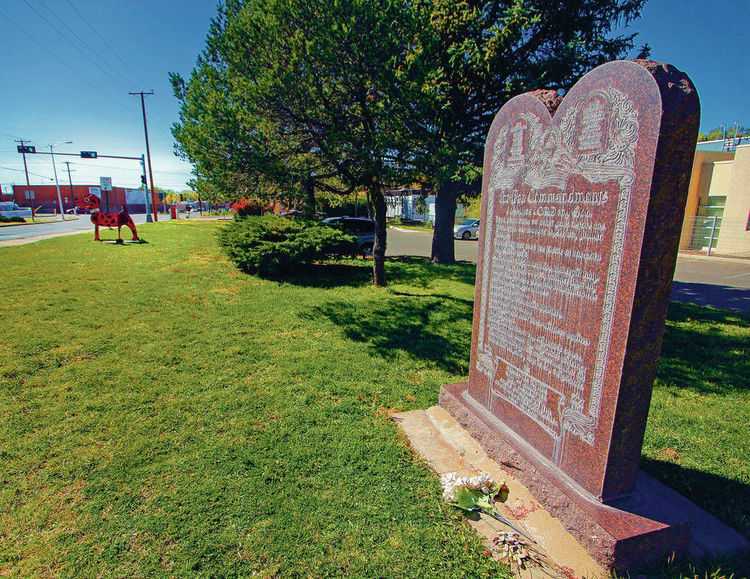 The Wisconsin-based Freedom From Religion Foundation (FFRF) says that the six-foot monument that rests in Ashbaugh Park in front of Fire Station No. 3 should be given back to the Fraternal Order of Eagles or transferred to the grounds of a church. “The First Commandment alone makes it obvious why the Ten Commandments may not be posted on government property. The government has no business telling citizens which God they must have, how many gods they must have, or that they must have any God at all,” wrote Co-President Annie Laurie Gaylor in the letter, dated Jan. 8. “One the government confers endorsement and preference for some religions over others, it strikes a blow at religious liberty, forcing taxpayers of all faith and of no religion to support a particular expression of worship,” she said. City officials have not yet commented on the FFRF letter, and had said previously that no complaints had been received about the Decalogue display. While a similar monument in New Mexico was declared unconstitutional by the 10th Circuit in 2016 and later moved to a local church, two judges on the appeals court noted that the Establishment Clause is being misinterpreted by the judicial system. As previously reported, Judge Paul Kelly, Jr. and Chief Judge Timothy Tymkovich opined that their colleagues incorrectly concluded that the Bloomfield monument violated the Constitution. “This decision continues the error of our Establishment Clause cases. It does not align with the historical understanding of an ‘establishment of religion’ and thus with what the First Amendment actually prohibits,” Kelly wrote. Therefore, the Establishment Clause of the U.S. Constitution regarding “respecting an establishment” only referred to these arrangements, and only applied to the federal government, not the states. “From the words of the text, though, two conclusions are relatively clear: first, the provision originally limited the federal government and not the states, many of which continued to support established churches; and second, the limitation respected only an actual ‘establishment of religion,’” Kelly explained. “Though this court may view the placement of the Ten Commandments as unwise, unnecessary, or even aesthetically displeasing, we should defer to local government decisions absent an actual violation of the First Amendment,” he declared.